Leverage your employees' top skills globally and on demand! Analyze employee skills using SkliQFactor, a first data driven measure of skills. SkliQ is a first of its kind platform, where employees are able to find, connect and collaborate with their colleagues based on there top skills. Manage a repository of Employee Skills in the cloud, accessible to all! Simple and Advanced Search capabilities to find colleagues globally; based on their top skill. Collaborate with your colleagues, real time via built-in Video Conferencing, Screen Sharing capabilities. Using SkliQFactor, measure effectiveness of skill, based on real reviews and ratings. Leverage the searches and sessions history to understand trends and skill gaps in your organization. Engage global workforce, and optimize performance via continuous collaboration. SkliQ offers a single, central cloud based platform to address challenges related to finding skills when needed, globally, on-demand. With SkliQ, your organization can engage global workforce, and facilitate collaboration between co-workers, across locations. Secure, Simple to use and Fully Data Driven. SkliQ is a fully secure cloud platform, that relies on data science to engage employee collaboration, measure skills and provide 360 view of trends and gaps. There's nothing like SkliQFactor, which is a first Data Driven , Objective measure of skills; based on real reviews, ratings and other key factors..
Connect employees via a simple, easy to use search engine accessible to all employees globally. Ability to find people based on their top skills. Instant collaboration with distant colleagues via Video Conferencing, Screen Sharing and IM. Reviews and Ratings that feed into the SkliQFactor. Analyze trends in searches, sessions and collaboration needs. Contact us today to see how SkliQ can help your organization! 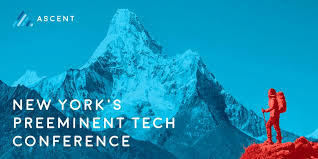 SkliQ will feature as one of the most innovative startups at the Ascent Conference in New York on Oct 3 and 4th. 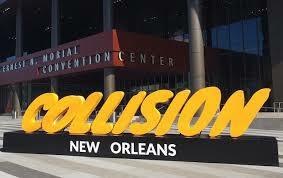 SkliQ featured as one of the most promising startups at the Collision Alpha conference in New Orleans this summer. Copyright © 2019 SkliQ LLC. All Rights Reserved.